Mead with raspberries and white chocolate. UPDATED: APR 21, 2019 Aroma of soft vanilla on tart raspberries with some port wine and honey notes. Taste in the same vicinity on jammy raspberry mostly with honey and vanilla notes. Sharp pungent fruit and a creamy texture. UPDATED: FEB 25, 2019 Bottle pour at Bottlecraft. Purple color, no head. Sweet taste with berries, white chocolate, honey, cherry and sugar. Sweet finish with berries, cherry, white chocolate, sugar and honey. Exquisite mead. UPDATED: DEC 14, 2018 Aroma of wite chocolate, fruit notes(raspberry and faint strawberry) . Taste of white milk chocolate, syrupy, fruity, tart and slightly bitter on the finish. really well balanced. UPDATED: DEC 10, 2018 Bottled at Omnipollos Hatt, Stockholm. Deep burgundy colour. Intense aroma of balsamic raspberry, notes of vanilla. Very sweet with full body and rounded mouthfeel. Raspberries, oaky vanilla and white chocolate. Raspberry tartness balance the immense sweetness, at least to some extent. An intense and mostly pleasant taste assault. Even though it comes across partially like raspberry lemonade concentrate I can understand the high scores. UPDATED: DEC 9, 2018 Bottle @ Mikkeller Aarhus. Deep red with no head. Aroma is honey, berries, vanilla, oak, rich, raspberries and a little perfume. Flavour is honey, sweet, oak, vanilla, raspberries, little citric, rich, complex, fruit peel and warming. UPDATED: DEC 8, 2018 Garnet color, almost clear. Aroma has intense fruit notes and wax. Taste is sweet, syrupy, fruity, tart and slightly bitter on the finish. Sticky feel, really well balanced. 9-3-8-4-16 Sample from bottle, courtesy of and @ Mjøderiet. Pours deep, dark chestnut red, without any head. Aroma is dark, earthy notes of raspberries, musty fruit peel and vanilla, as well as notes of wooden barrels. Creamy body, with no carbonation. 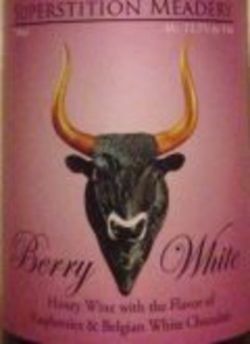 Flavour is musty raspberries, forest berries, fruit pits and minerals, as well as vanilla and wooden barrels. Dry finish. MBCC 2017 Red session. Red body with a tiny white rim. Aroma of vanilla, raspberries, taste of sour berries, funk, honey. Vineous finish. An excellent mead.